The following 42 Mobile Learning Tools allow specific creation of learning modules for mobile devices and/or allow output to HTML5 and/or provide delivery of mobile learning. Most major LMS and LCMS vendors either have mobile solutions in place or are quickly moving to include them. Mobile devices include smartphones, tablets, net-books, laptops, etc. People on the go can spend waiting time learning. This is becoming an important feature both in the corporate and education markets. The smaller screens and different features place constraints on what can be done on mobile devices. Most involve just-in-time performance support, doing assessments, etc. Apple’s mobile devices (iPhone, iPod Touch, iPad) do not support Flash and HTML5 is quickly replacing Flash. Claro produces eLearning mobile content for tablets and smartphones providing support across iOS, Android, Blackberry, WebOS, Windows Phone and more and you can even create content with Google Chrome book. A native app publishing platform that allows you to quickly create content and then publish it across all mobile platforms. The best Powerpoint to HTML5 solution currently available in the market. A mobile publishing platform. Includes test creation and delivery. Based in New Zealand. Collection of tools for the creation of elearning content including Device Central which allows content authors to output to a variety of mobile devices. Adrenna Mobile is a revolutionary solution for mobile learning that brings formal, informal, social and collaborative learning, and performance support to one central platform – mobile. This revolutionary platform is now available on all major operating systems namely iOS, BlackBerry OS and Android. Includes eCommerce and mobile learning capability. Based in Australia. American Research Institute (ARI) is a custom training company that specializes in developing and delivering blended learning in any mode to any device. Cross platform course authoring tool for mobile applications. Articulate has several tools for publishing learning content to mobile devices including Presenter and Screenr. This product enables development of courses specifically for the Samsung GALAXY Tab device. The mobile tool for Blackboard – a major education LMS vendor. Blueprint iPhone App that allows prototyping of mLearning. Tool for creating both online and mobile video presentations. Specifically for the BlackBerry smart phone. It includes a plug-in for PowerPoint presentations and uses a PowerPoint like interface that can include graphics, video or audio. The mobile tool for Desire2Learn – a major education LMS vendor. Collaborative authoring tool capable of HTML5 output for mobile learning. DuPont™ CoastalFlix A video streaming tool for mobile devices now owned by Dupont training. eXact learning MobileMobile module for the eXact Learning LCMS. GoKnow Mobile Learning Environment Allows educators to handle student's activity such as assessment as well as data back-up via cell phone devices. The authoring tool is particularly produced for K-12 students. Gyankosh Learning Management System Also known as Career Mantra. Includes mobile learning features. Corporate LMS with mobile learning applications. Available in a mobile edition for a variety of platforms, including Google Android device and iPhone OS-based devices and the Apple iPad. The University of Reading is helping to develop a new e-learning tool, dubbed INTUITEL that delivers lessons via a mobile phone, yet offers feedback previously only available from a real-life tutor and emulates the best aspects of traditional teaching methods and delivers them through online portals. It is a three year project so release is pending. iQpakk is a mobile information management platform that puts learning, training, or promotional content at the fingertips of employees, students, or learners of any kind. The iPad interface allows users to view content stored on their device, take notes and assessments, email content to customers or cohorts, and create instant presentations by sharing their screen with other iQpakk users. Kenexa Hot Lava Mobile is the leading mobile learning solution to rapidly develop, deliver and analyze the use of all types of device-independent mobile content to meet a wide variety of priority communications, and mobile learning and performance support scenarios. KMxMobileWith KMxMobile, end- users can access courses, learning objects, exams and surveys using their iPhone, Android, Blackberry OS6, Nook Color, Amazon Kindle or Windows handheld device with full SCORM learning management capabilities. Meridian Mobile Module simplifies delivery of your mobile content library to smart phones or tablets. With Meridian Mobile you don’t need to develop and manage different versions of mobile-developed content or applets for Apple, Android and Blackberry. Includes Courses and Registrar modules that mash-up popular Learning Management Systems (LMS) and Student Information Systems (SIS), enabling students and faculty to access information via a single common mobile interface. NetDimensions supports a multi-pronged Mobile Learning strategy with a suite of solutions for mobile workforces in any environment. Instead of point approaches for mobile delivery, NetDimensions relies on core capabilities for mobility that are inherent part of the NetDimensions Talent Suite platform. OnPoint’s CellCast® Solution mobile learning platform enables companies to create and deliver mobile content directly to user's mobile phones, and track their progress and test scores. Both an eLearning and mLearning authoring tool. ReadyGo WCB’s mLearning solution creates courses that work on any phone with a browser. Saba AnywhereSaba’s mobile tool for its corporate LMS. 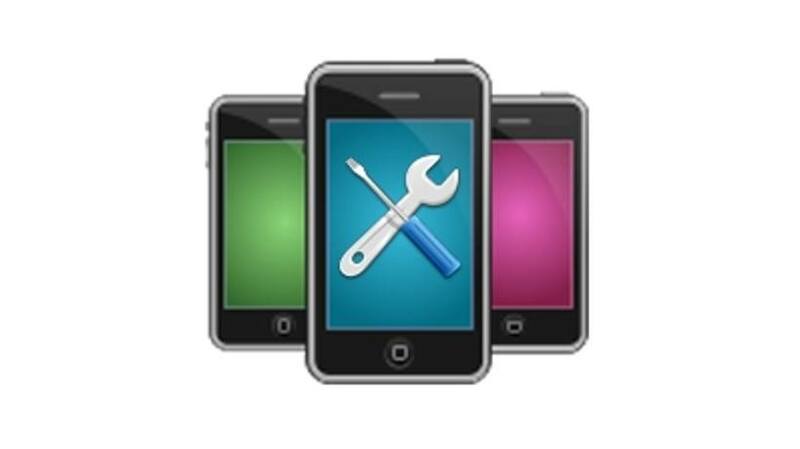 SumTotal Mobile and SumTotal Toolbook Toolbook is one of the oldest authoring systems around. It is now in version 11 and includes mobile support including geolocation. Although not a tool originally created with mobile learning in mind, it can publish to HTML5 and has templates for Apple and Android products. Video capturing tool using MPEG4 that can be uploaded to iTunes for use on Apple mobile devices. Web site not functioning Jan. 31, 2012 or Feb. 13.